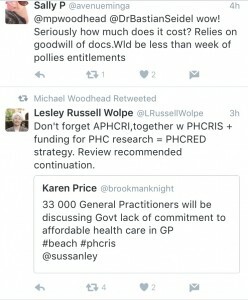 Home Healthcare and health reform general practice BEACH gets a lifeline, but where’s the government’s commitment to Primary Care research? 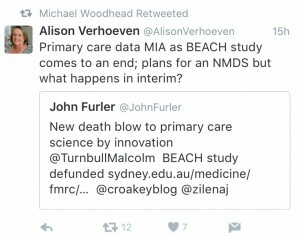 BEACH gets a lifeline, but where’s the government’s commitment to Primary Care research? In what felt like the latest in a series of low blows to General Practice research, the news broke over the weekend that the Bettering the Evaluation and Care of Health (BEACH) program was to cease operations due to a lack of funding. According a media statement the decision to discontinue the study was made because the Commonwealth Department of Health has withdrawn financial support for the program. Already cash-strapped because of a reduced flow of funding from other organisations (such as NGOs and pharmaceutical companies), the BEACH team said they were left with with no other choice. 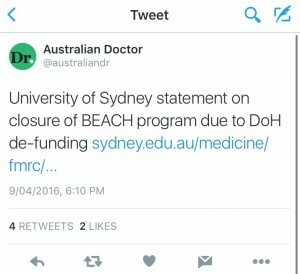 But late this afternoon, Dr Lyndal Trevena, Professor, Primary Health Care and Head of Discipline of General Practice at the University of Sydney released a further statement, indicating that the much valued BEACH program has been granted a 12-month reprieve until long-term funding can be sorted out. 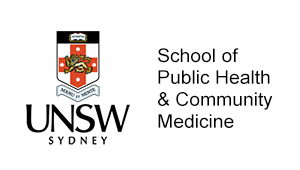 “The University of Sydney’s Family Medicine Research Centre has been advised by the Commonwealth Department of Health that its annual funding for the Bettering the Evaluation and Care of Health (BEACH) Program will cease on 30 June 2016. “The Family Medicine Research Centre is a centre of the university but wholly reliant on external funding for its ongoing operation. 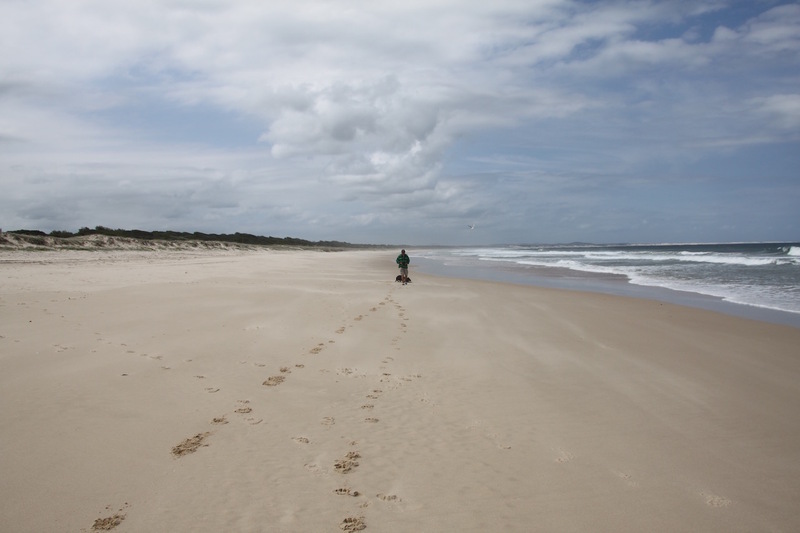 The BEACH program is a unique and vital resource that provides a continuous source of data and insight into general practice and patient consultations in Australia. Were a sustainable source of funding for the BEACH study not to be found it would be a big loss. As GP Edwin Kruys pointed out in a brief post earlier today, you’ve probably encountered BEACH data many times without knowing it. 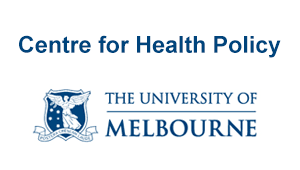 The program, based at the University of Sydney’s Family Medicine Research Centre, has been running since 1998, producing “a continuous, national, cross-sectional survey of the work of Australia’s general practitioners”. That means that, over more than 18 years, the BEACH researchers have collected information from over 1.7 million GP-patient encounters. 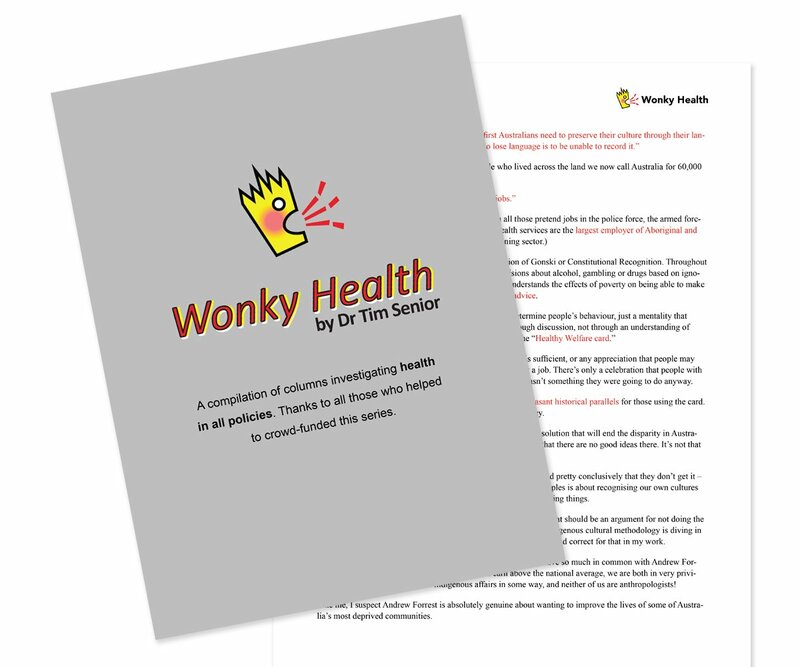 The result is a wealth of information on the characteristics of the GP workforce, the problems raised and diagnoses made in GP–patient encounters, and the services and treatments provided. 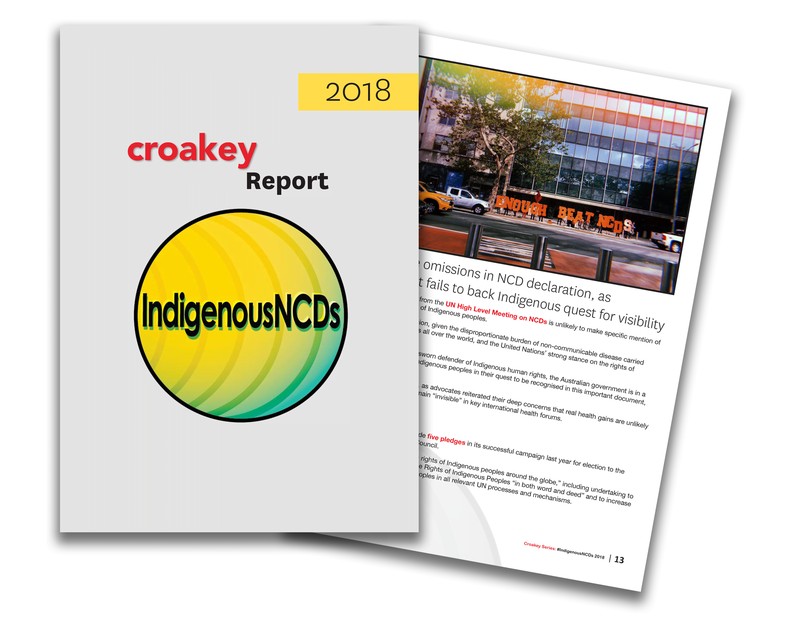 The program’s regular reports have produced “Snapshots” of General Practice activity and the data have been used in a diverse range of studies such as trends in prescribing, surveys of disease management and even economic analysis. While some of the information currently collected by BEACH could be obtained by interrogating GPs’ electronic medical records, existing systems do not have the capacity to answer many of the relevant questions about what happens in General Practice. A spokesperson for the BEACH study provided the following statement this morning about the program’s ongoing value. 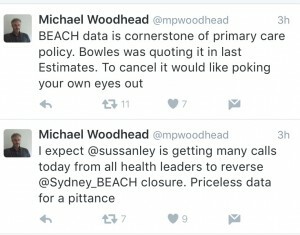 News of the imminent loss of BEACH was received with dismay on social media (see some of the tweets below), particularly as it comes in the wake of the announcement that Commonwealth funding for the The Primary Health Care Research & Information Service (PHCRIS) will expire at the end of June, and the Australian Primary Healthcare Research Institute (APHCRI) has ceased operations after not having its funding renewed. Please note that in my view this ‘lifeline’ does not absolve the government from responsibly funding the ongoing evaluation and monitoring of a major part of our health system (i.e. general practice). We remain mystified and shocked by this announcement. 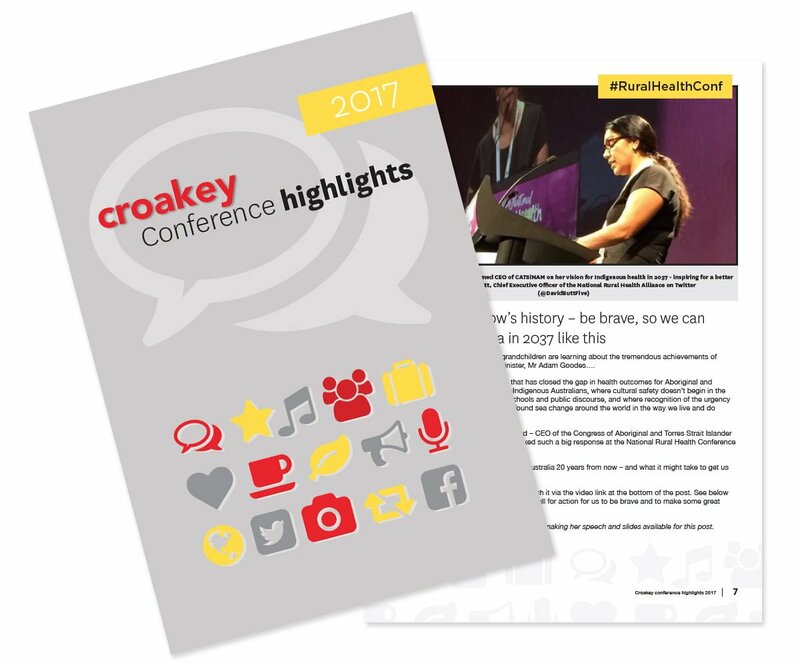 We understand that the Health Minister is keen to ensure that health policy and practice is informed by evidence. We are fortunate in this country to have 18 years of continuous general practice data through BEACH that can inform us into the future only if it keeps running. Without continuity we will fall into the Dark Ages. 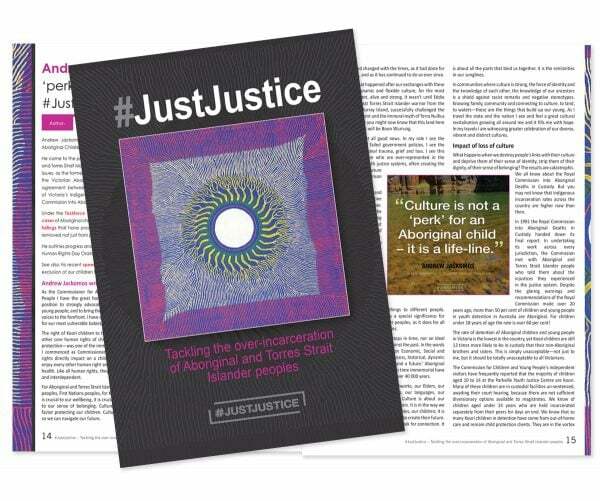 We hope that the Australian Government will realise their error and quickly correct it. 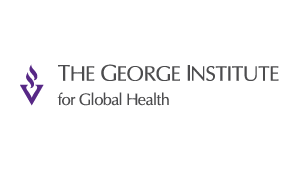 We look forward to working with them on finding a way to continue to support good quality general practice for Australia’s future through BEACH and other initiatives. I fully support Lyndal’s comments. Without this source of evidence, which I myself have used countless times in lectures, talks to GPs, GP registrars, undergraduate medical students and others, we will fall back into the “dark ages”. The BEACH team have done a fantastic job of producing evidence based data about GP consultations for many years. WE can build on this data. 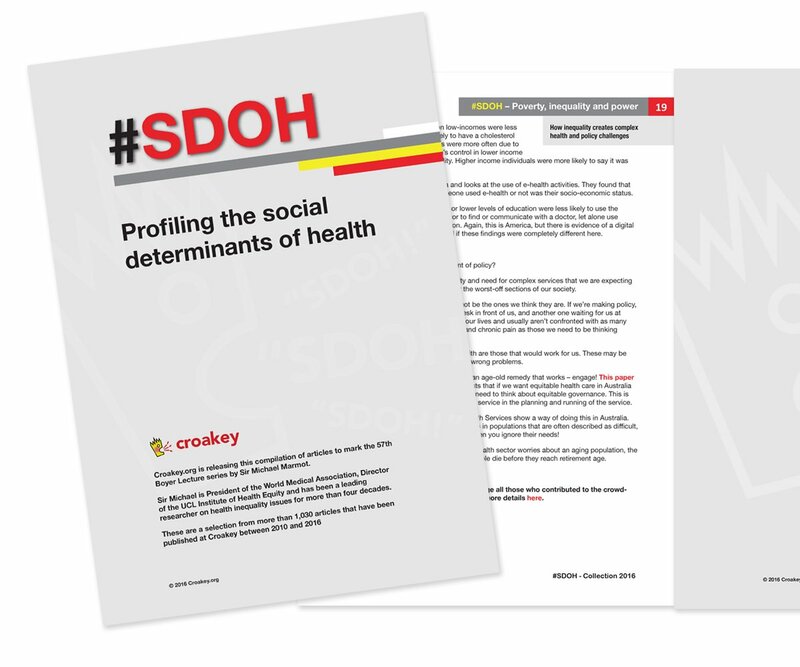 WE can use it to evaluate policy and other changes to the health system affecting General Practice. WE need it if we are going to produce further evidence based change to further the health of all Australians. 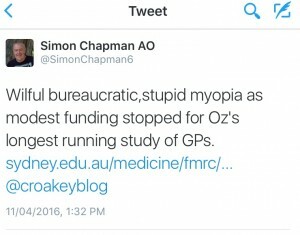 Remember that well over 80% of the Australian population see their GP each year. There are over 130 million GP consultations a year in Australia – Contributing to health promotion, prevention, chronic disease management and every aspect of the health of individuals, families and the community. For only 10% of the health budget. WE need evidence to continue to improve this sector.